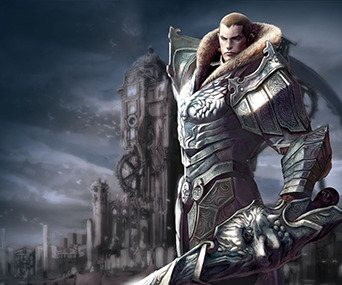 Popular PC MMORPG Tera Online has recently made the jump to consoles. As of April 3, 2018, you can download the game for free on PlayStation 4 and Xbox One consoles. TERA Gold is the most important currency no matter you are playing on PC, PS4 or Xbox One, which is used for trading certain things between NPCs and players. You'll need to spend TERA gold to buy new skills upon leveling up, and in the late game, you'll want to have a nice stash for leveling trades such as crafting, buying materials, and more. Now AOEAH.COM offer the cheap Tera Online Gold for EU/US server on PS4/Xbox One/PC now. Buy TERA EU Gold and TERA US Gold for all serves on Xbox One, PC, PS4 with low prices, fast delivery, safe payments and 24/7 online service! If you have any problem on buying TERA Gold for PS4, Xbox One, PC here, please feel free to hit up our 24/7 Online LIVECHAT. Over 10 years trading experience in games virtual products make us can meet your different demands. Stable supply sources and full stock make sure instant delivery no matter anytime you place order. We want you to shop with confidence on our site, that's why we have the tools & resources to ensure buyer-protection. All the products and service here are collected from legit and safe supply sources. Solve your coins transaction problems ! We need to verify the legitimacy of the payment,otherwise we will not approve and deliver your purchase.